Last night - I hit a breaking point and I was just done being on demand. I locked myself in my craft room - trying to recoup from the day. I pulled out my March Studio Calico kit - which has already seen a lot of use, but I wanted to try and use up some scraps before my next box arrives. I wanted to use up the cute little strips on the edges of the Crate Storyteller papers, so I decided to make a card. I also wanted to use my new light bulb stamp, that I won in a giveaway last week. If you would like to download the template, you can do here: DOWNLOAD. This is a print and cut template. 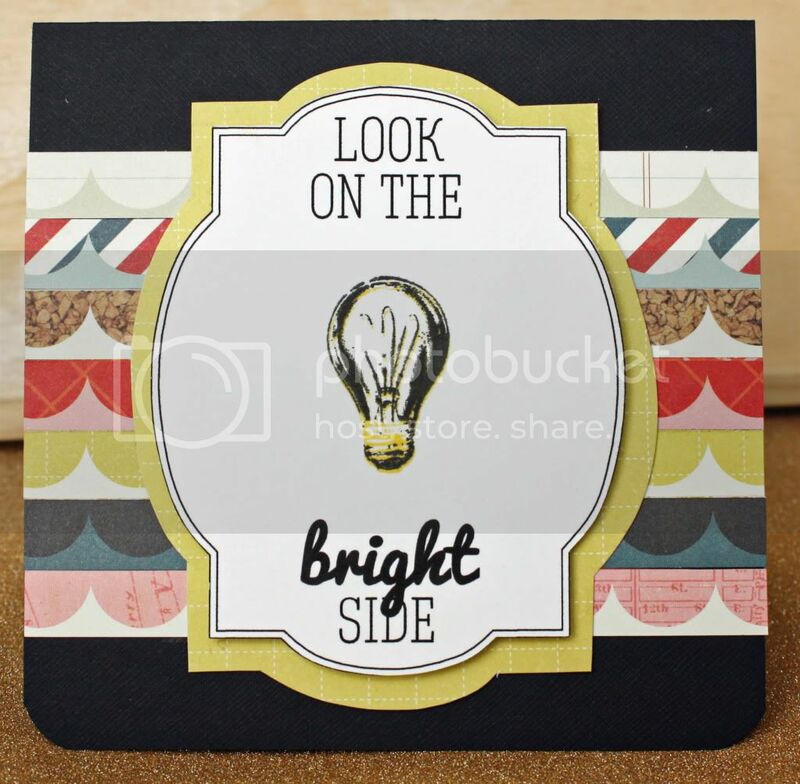 Love how you used up those strips - great card!! You didn't even give me the card, but it's what I needed. Thanks! I love you!